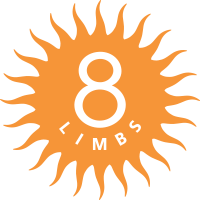 8 Limbs Yoga | Enlighten Up! I love the title of this new documentary. It is SOOO easy to take oneself too seriously. As I addressed in my last posting on FUN, having more of it has been my goal this month. 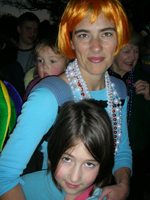 Since then I have attended a Venus Party (I wore an orange wig and gave out Mardi Gras beads), put up the paddle for Arts Corp at their annual auction at The Triple Door, and had numerous playdates in the sun with my little ones. This Thursday 8 Limbs is co-sponsoring a screening of a new documentary about yoga called “Enlighten Up!” on Thursday, May 14 at The Varsity Theater. Come and have fun with us as we learn about “A Skeptic’s Journey through the World of Yoga.” The evening will begin at 6:45pm with music by Steve Gold and friends, a meditation with Melina Meza, and introduction with the director of the film, Kate Churchill. Come early as seating is limited! Listen to KWJZ Radio, KKNW Radio or e-mail JWMovieClub@gmail.com with ‘enlightenup’ in the subject to find out how to get your complimentary pass to the screening. ENLIGHTEN UP! will open in Seattle on Friday, May 15th. Now a question for all you fun lovers out there: what is your favorite “fun” activity here in Seattle? What about fun and FREE?